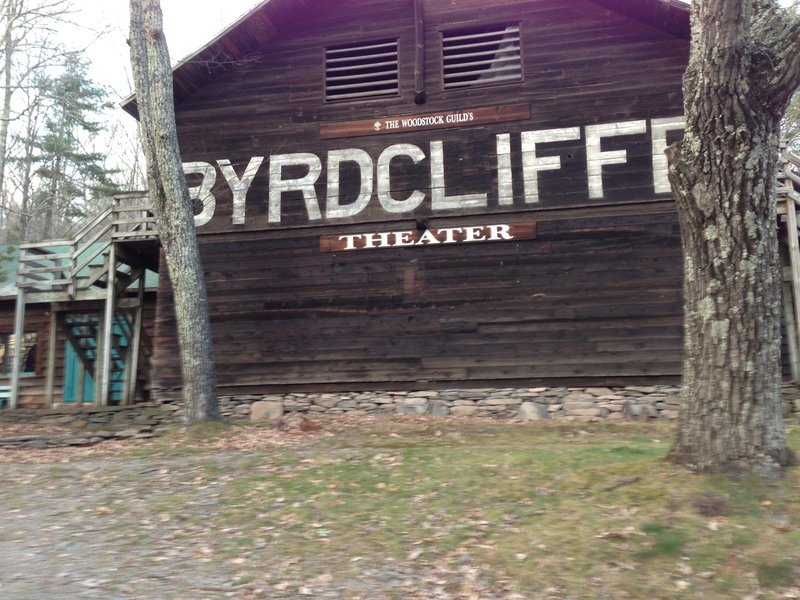 Back to Byrdcliffe. 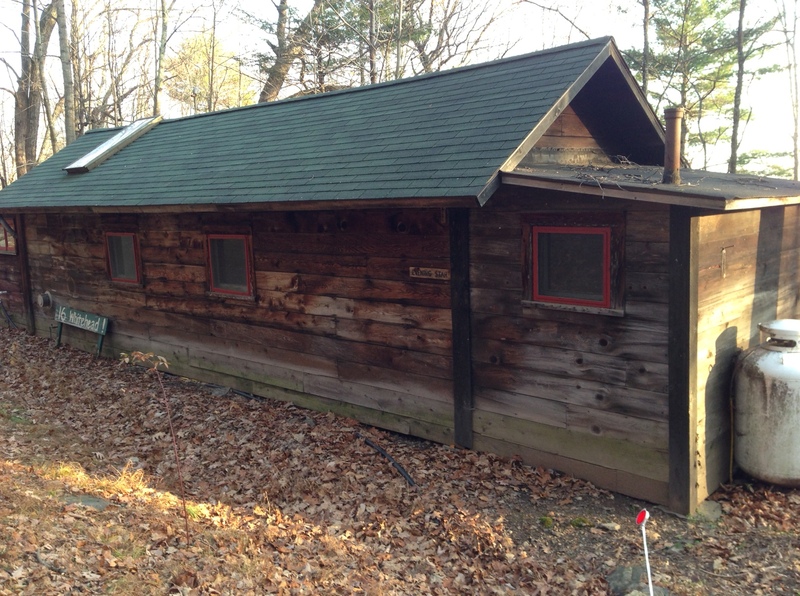 The artist’s colony in Woodstock, New York sits on the side of a mountain and consists of arts and craft style cabins in dark wood with no insulation and windows that look out on a quiet wooded landscape. We came here 25 years ago, newlyweds, to spend a long summer hiatus writing poems and drinking blueberry daiquiris, or was that writing daiquiris and drinking blueberry poems. Now we found our cabin none the worse for the wear. It always reminded me of a pup tent, it was so small and narrow, only one room wide. And yet the man who founded the colony in 1902, Ralph Radcliffe Whitehead, believed strongly in the healthful properties of bathing, so our little cabin and every other was equipped with an eight-foot porcelain tub whose pipes were fed by mountain stream water. 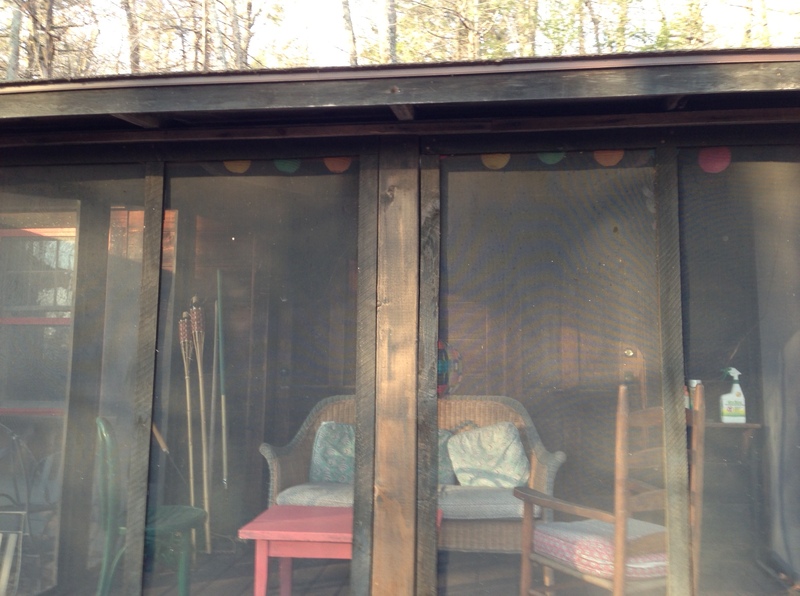 I made a summer study out of the screened-in front porch, which had sloping loose floorboards, into whose cracks Gil one day lost his new gold wedding band, sending him down on his knees to pry up the wood to find it. I thought I would be a poet forever. 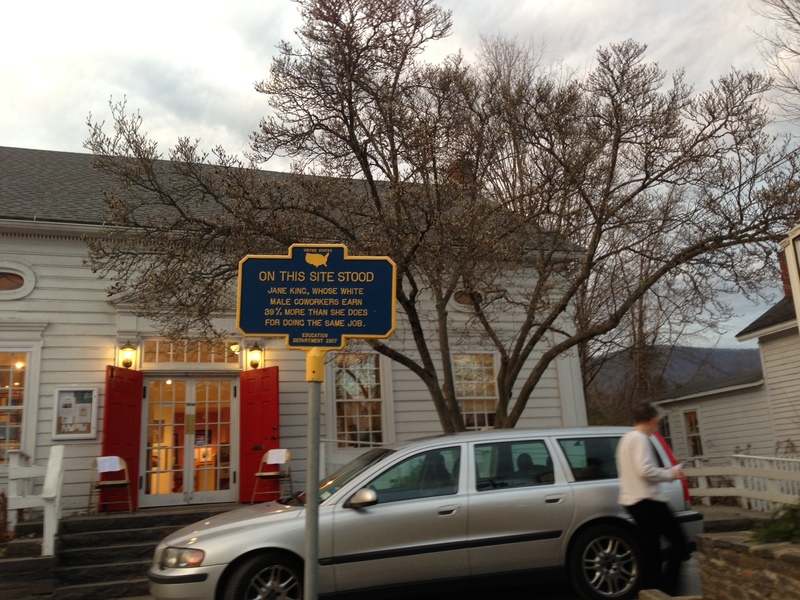 The village of Woodstock had remained almost the same. This was different, though, a sign by the wayside put up by someone with a sly sense of humor.